* A 25% non-refundable cancellation fee will be applied to all courses cancelled less than 48 hours in advance. Textbooks are nonrefundable. Should a student cancel the course and requests a refund, the cost of textbook, shipping, plus the cancellation fee will be deducted from course fee to be refunded. We use PayPal for our secure payments. 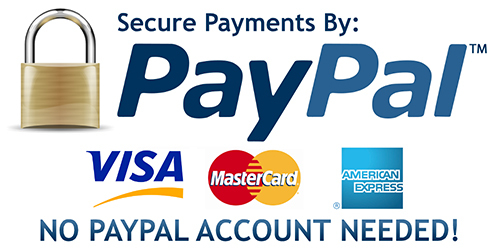 You do not need a PayPal account in order to pay via credit card.